The deaths of five U.S. servicemembers in Afghanistan were announced this past week by the Department of Defense. Army Staff Sgt. 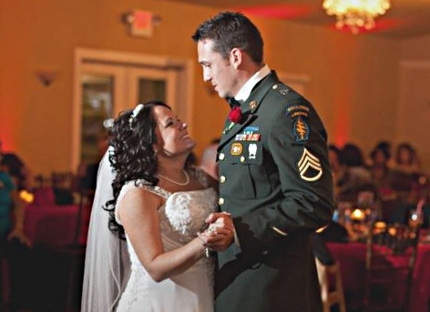 Jeremie S. Border, 28, of Mesquite, Texas, and Staff Sgt. Jonathan P. Schmidt, 28, of Petersburg, Va., died Sept. 1, in Batur Village of wounds suffered when enemy forces attacked their unit with small arms fire. Border (pictured above) was an Eagle Scout who went on to become a college football player at McMurray University and a Green Beret, KHOU reports. Cheryl Hays recalled on a Facebook page dedicated to his memory, "I knew Jeremie from Troop 90. He was one of my very favorites. His Eagle ceremony was the first Eagle ceremony I had ever attended. Let me tell you, I was so touched. I think all the moms were sobbing at one point." Border was assigned to 1st Battalion, 1st Special Forces Group (Airborne), Torii Station, Japan; and Schmidt was assigned to 192nd Ordnance Battalion, 52nd Ordnance Group, 20th Support Command (CBRNE), Fort Bragg, N.C.
Marine Lance Cpl. Alec R. Terwiske, 21, of Dubois, Ind., died Sept. 3 while conducting combat operations in Helmand province. He was assigned to 1st Combat Engineer Battalion, 1st Marine Division, I Marine Expeditionary Force, Camp Pendleton, Calif.
Tewiske (pictured at right) was determined to make it through boot camp. "Wow my own mom thinks I won't make it," he posted in December 2009 on his Facebook page. "Can't wait till I prove her wrong!" In October 2010, Tewiske posted he was done and on his way home. "Hell yeah I did it!" Tewiske's parent command was Inspector/Instructor Staff, 4th Tank Battalion, 4th Marine Division, Marine Forces Reserve, Fort Knox, Ky.
Army Pfc. Shane W. Cantu, 20, of Corunna, Mich., died Aug. 28, in Charkh of wounds suffered when he was hit by shrapnel. Cantu was assigned to 1st Battalion, 503rd Infantry Regiment, 173rd Airborne Brigade Combat Team, Caserma Ederle, Vicenza, Italy. Army Spc. 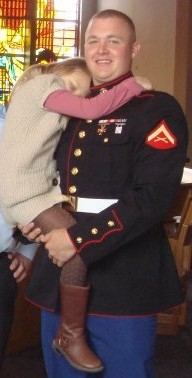 Kyle R. Rookey, 23, of Oswego, N.Y., died Sept. 2, in Jalalabad from a non-combat related incident. He was assigned to the 4th Brigade Special Troops Battalion, 4th Brigade Combat Team, 4th Infantry Division, Fort Carson, Colo.
Great post. I was checking constantly this blog and I am impressed! Very useful information. I care for such info much. I was looking for this particular info for a very long time. Thank you and best of luck.